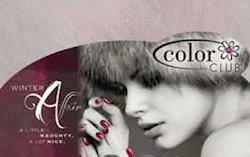 Let Color Club bring a touch of heaven to everything you do. We have searched the galaxy for these six heavenly shades. 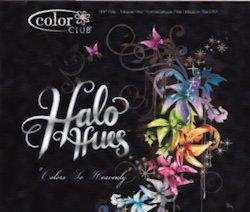 Halo Hues is beyond color, it's nail lacquer that radiates from within. A little naughty, a lot nice. Straight of the RUNWAY comes this season's hottest collection of ALL-EYES-ON-HUE lacquer. Break it Up! Get a jagged-edge finish with NEON FRACTURED. Just brush fractured over DRY POLISH and expect a radical transformation. Just apply Magnetic Force lacquer to nail. While polish is still wet, hover the magnetic brush cap over nail for 15 seconds. Be careful not to touch the polish! When you remove the cap, a unique design will appear! Scentsuous topcoats: A different way to experience fragrance.